All white is still going strong in my mind. As much as I do love a bit of monochrome, I just love how fresh and minimal white can look all together. I need to stop myself from shopping as i've gone a bit mad recently, so unfortunately I will have to retain from purchasing any of the above pieces. However if anyone manages to see a cheaper version of the Reiss coat, please do let me know! Had my eye on that Whistles phone case for too long I just need to buy it! 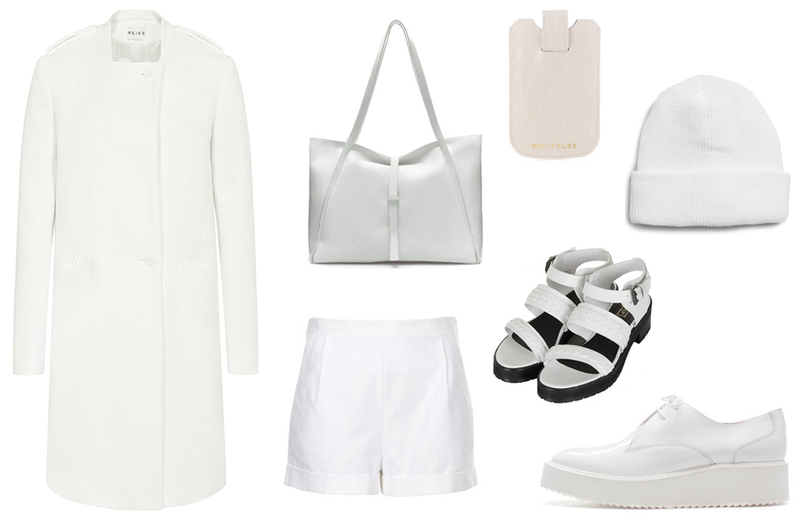 Love every piece, white outfits are so timeless!